Middle-earth: Shadow of War owners can dive into the new story expansion Blade of Galadriel starting today. 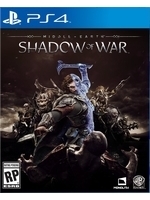 The content lets you play as elite assassin Eltariel who wields the dual Elven blades and it features new addition to the ranks of the Nazgûl, new Nemesis characters, eight Legendary Orcs (who can return in the main story) and an Eltariel character skin than can be used in the main campaign. Warner Bros ha also released several free updates, details inside along with the DLC trailer and screens. 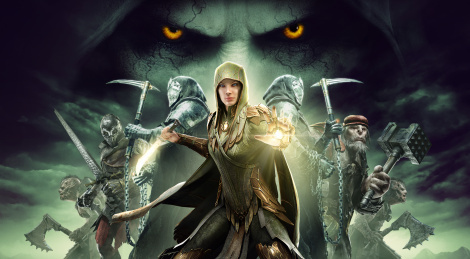 • Play as Eltariel for the first time, an elite assassin known as the Blade of Galadriel, and go head-to-head with the newest addition to the ranks of the Nazgûl. • Encounter memorable new Nemesis characters, such as Flint, Tinder and the Slayer of the Dead, while battling the Nazgûl and learning more mysteries of their past. • Unlock an Eltariel character skin that can be used in the main story campaign. ○ Tunnel Rat – Orcs can burrow into the ground and summon Ghûls. ○ Sniper Shot – Archers can fire from great distances with pinpoint accuracy. ○ Tremor – Ologs can pound the earth with tremendous force, staggering nearby threats and heavily damaging structures. ○ Gifts of Treasure – Followers can now bring players the gift of a Treasure Orc, providing even more ways to earn Gems and Mirian. • Photo Mode Upgrades – New filters, frames and styles, along with adjustable expressions and added stickers, giving players more options for customizing in-game action shots. • Player Skins – Choose to appear as Talion or Eltariel in the main story campaign. • Training Orders Update – Players can now upgrade their Orc Followers with Training Orders while in the Garrison, saving time and offering more flexibility in deployment. • Player Stats Page – New menu for players to track a variety of in-game statistics, including the number and type of enemy kills, dominations and betrayals; fortresses conquered and defended; gear pieces collected and upgraded; and many more. • Field of View Options – More ways for players to customize the user interface and scale their field of view. A complete list of the Expansion Pass content is provided below. For more information, check out the Official Middle-earth: Shadow of War Expansion Pass Trailer.